When you realize there's a draft coming from your windows, you might think about new windows or storm windows if you have older, wooden windows. These are the traditional solutions to reducing unwanted air flow, to stop cold air from outside getting into your home. New windows are the right long term solution but what if they're not in your budget right now? That's when it's time to look at lower cost options – bubble wrap windows or window weatherproofing kits. Should You Bubble Wrap Windows? Yes, it's easy to bubble wrap windows. While we normally associate bubble wrap with moving or packing fragile items so they won't break, there's insulating magic in bubble wrap. The air pockets that provide a cushion against impact, can also provide a barrier to reduce the flow of cold air. The concept is the same way as dual pane windows providing a pocket of air between 2 panes of glass. It is the trapped air that provides the insulating value, as it slows down the transfer of air. There are many reasons to bubble wrap windows. If I'm missing some, please share them with us by leaving a comment below … as that's how everyone can benefit. Unlike insulating shades that block the sunlight, bubble wrap is clear and lets sunlight through. This means you can still have a cozy, inviting room that is warmer and feels more open. 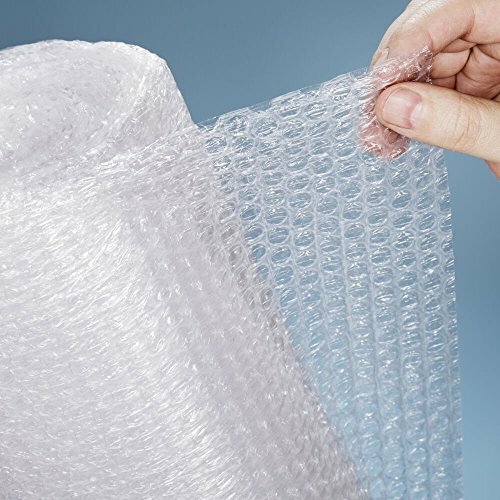 Bubble wrap can be reused for several years, generally 5-7. You'll know it's time to replace the wrap when it sticks to the window and removing it gets difficult. With more an more people ordering online, there are lots of people are throwing it out. 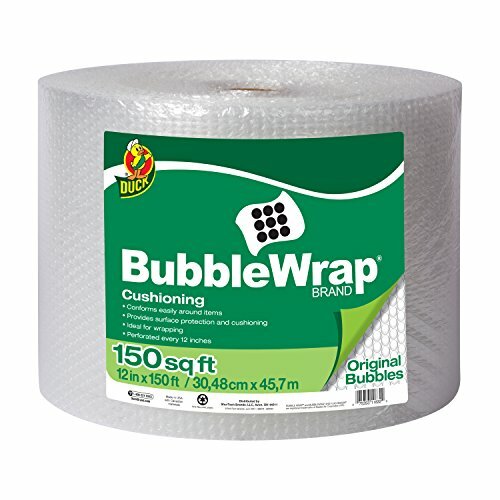 Check with furniture stores and other retailers who throw away bubble wrap on a frequent basis and volunteer to dispose of it for them … so it might be free (well, your time really isn't free). Hardware stores sell “window sealing kits” that use sticky tape. When the sticky tape is left on the window too long, it's difficult to remove. The film isn't reusable so you need to buy new kits each year. Bubble wrap windows are easy to put up, take down and roll up to store over the summer. You should label each piece of bubble wrap. Otherwise you'll find they all look the same, and you won't know what goes where next winter. Draw a layout of the rooms and label each window AND bubble wrap, i.e. DLB = dining room left window bottom, DLT, DRB, DRT, etc. Measure each window pane, following the well known rule “measure twice, cut once” … following diagram shown here. Cut the bubble wrap, using a paper template if that makes you more comfortable. Spray a light film of water on the window using a small spray bottle. If it's used, clean it thoroughly as you don't want to leave a film on your glass or worry about the bubble plastic. Press the bubble side against the window while it's still wet, and position it to fill the space fully. A tight fit means both the air trapped inside the bubbles, and the air between the window pane and the back of the bubble wrap will help reduce air flow, and save you heating dollars. If the bubble wrap windows start to separate from the window, the recommendation at BuildItSolar.com is to add glycerine to the water. The bubble wrap should come off easily. Depending on the quality of the plastic, it should last several years and when it becomes difficult to remove, it's time to replace it. Peel gently, starting at one corner. Remember to mark each piece as you remove it so each piece goes back where it started. There shouldn't be any mess but you're already there. Maybe this is the perfect time to wash your windows … at least inside, especially if it isn't warm enough outside. You want to bubble wrap windows but haven't been collecting bubble wrap. Don't worry because it's relatively inexpensive to buy. It's bulky but not very heavy, so it's the perfect product to buy online. Here are tips for buying on Amazon, or other websites that sell moving supplies. 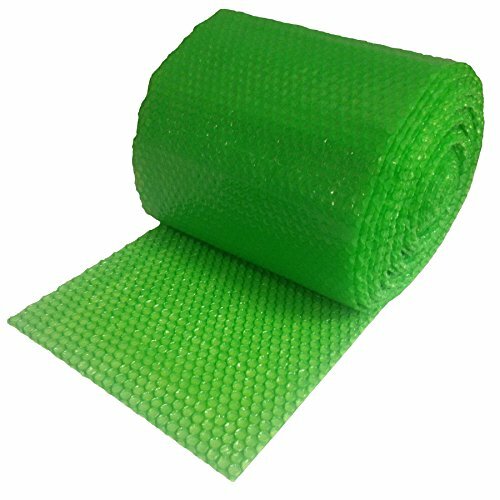 Most bubble wrap you can buy will be 12 inches wide, although I found some Duck Brnad that also comes in 16 and 24 inch widths (you've got to search for this info). Bubble wrap has big or small bubbles and my educated guess is the small bubbles are slightly better at providing insulation. Some products give the height of the bubbles (3/16s of an inch) and taller would be better. If you want this information, you can call the manufacturer. Check Amazon customer reviews as too low a price may mean using 2 layers because of … very thin plastic; not confident using this for fragile items and will need to add extra layers. Calculate the cost on a per foot basis when comparing products with 12 inch width. If you're comparing the wider bubble wrap, calculate the cost per square inch. Prices vary greatly so this calculation is very important. For example, comparing products from the same manufacturer, which one are you going to buy … and try to find free shipping (Amazon Prime)? Duck Brand (original cushioning, 12 inches x 150 feet) sells for $20.99, on sale for $16.88 = $0.11 per foot. What energy efficiency tips can your share? Bubble wrapping can be so effective yet so cheap I never thought about that. Thanks for sharing such a nice blog I will keep on visiting here often. I have a question about keeping the bubble wrap on the windows (till you move out). We actually use bubble wrap here in the northern part of Japan for our windows and found it has helped keeping the heat in despite the lack of central heating here. My supervisor told me that it’s okay to keep the bubble wrap in place with the tape on the windows till it’s time to move on. I’ve had mine on since November 2015 and haven’t replaced it since as it’s still on the windows. Now it’s January 2017 and it’s still there keeping me warm. I take it that it’s okay to leave it on till next summer in 2018 when I leave? Jill, I lived in Tokyo for 3 years so I understand the lack of central heat, although we had good mini-splits in all our rooms for air conditioning and heat. The only problem with the bubble wrap itself is you lose any view you have out the window. My experience is based on my handyman business where we ran into problems removing the plastic from weather insulation kits. They have a sticky adhesive to hold the plastic to the window trim but I’m not sure if it’s the same as tape. It seemed like the longer you left the plastic (your tape) on the wood, the harder it was to remove it. The sheets would come off but it would leave a residue from the plastic (your tape) on the wood which was difficult to remove. To try to avoid this, it might make sense to replace the tape now (keep the same bubble wrap in place) so it’s easier to remove. You only need to replace the tape where it touches the window trim so cut it, and simply put fresh tape there. What a great idea. The window that’s in the guest room needs to get some bubble wraps. It’s always freezing in there! This is definitely something new that I have never heard of people doing. It does seem pretty practical. Is it ok to use the 12″ bubble wrap and place different lengths side by side? I can’t find larger widths anywhere. Yes Kurt, That’s exactly what you need to do because they’ll never make bubble wrap wide enough for our large windows. I think that’s very practical. It’s really nice to be able to have alternatives that are low cost especially when it comes to concerns about our homes. Yes Carol, when I had my handyman business I always tried to give my customers alternatives. Who knew that there are so many uses for bubble wrap aside from protecting your package from being damaged! This is awesome information! Thanks! Omg genius!!! I would of never thought of using bubble wrap on windows! Brandy, It’s a good short term solution so I’m glad it will help you. I would never have thought of this way to insulate before!! What a great idea, amazing how many different types of bubble wrap there is. Vera, That’s one thing I love about the Internet. We’re now able to share fun ideas like this, and they in turn can spawn other great ideas. I never would have thought of this. Thanks for the info; this is something that I think I’ll benefit from. This is definitely a good hack! I don’t know why I haven’t thought of it before! I’m definitely going to give this a try! Thanks! Oh my goodness! Never thought of this as a hack but guess you’re right, so thanks for pointing that out Elizabeth. Never had an idea that this could be possible! I bookmarked this post! Wow such a nice tip. Quite affordable and different. I would love to go for bubble wrap windows. Thanks for sharing. Bubble wrap dress really makes me laugh, but it looks good somehow. lol Anyways, thanks for the tip. lol the bubble wrap dress! That’s so funny. This is actually quite genius! I never would’ve thought of this. We have horrible insulation in our home because it was built in the 50’s. Thank you for the tip! Brittany, Glad you liked the dress which I have to give the Duck Brand folks credit for (oops, guess I ought to add that in my post). When I saw it, I knew it was perfect & now I’m trying to think of other crazy ideas to make my topic more fun. How interesting! I had never thought to do this before, but I might have to! Wow that is such a good tip! I have a huge roll in my loft and I have a few draughty windows, so I will definitely give this a go. Thank you! Terrific & if you’re able to take a few photos & share them with me, would love that. I have lots of bubble wrap from my new bathroom project. I so need to try this on my windows. Love this idea! Inexpensive and a good way to save on heating bills in the winter. However you will not catch me in that dress!! !